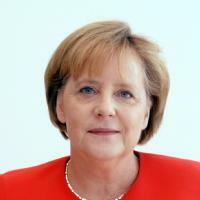 Angela Merkel (politician, chemist and physicist). He/she was born on 17 July 1954, his/her birthplace is Hamburg, Freie und Hansestadt, his/her country is Germany, his/her political party is CDU (Democracia Cristiana), his/her current position is Canciller de Alemania. There is information in Classora Knowledge Base about 8 rankings, reports and surveys.